The 2016-2017 school year has begun and MathSP is as STEM focused as ever before! Our mission to cultivate core problem solving skills and analytical abilities in our students through STEM-focused academic coaching continues as we kick into high gear of the new school year. Below is a list of stimulating STEM focused workshops and events happening in the Atlanta Metro geared towards students from grades K-12th. 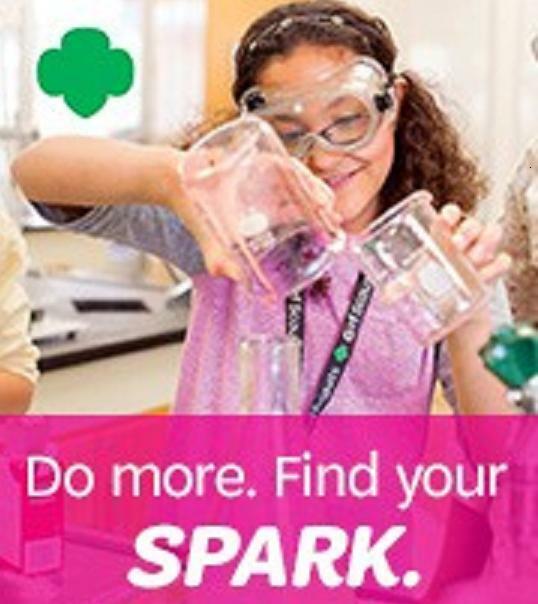 The Atlanta region, home to more than 57 colleges and universities including an increase of STEM Certifications in primary and secondary schools, hosts numerous workshops, events and programs that are available to promote STEM fluency among elementary, middle, and high school students. MathSP encourages you to take full advantage of these incredible STEM events taking place near you. We will continue to share these events as they become available to ensure that all of our students are fully prepared with the the tools required to become STEM fluent. This free and educational morning event is open to girls from K-4th grades to participate in hands-on STEM activities such as building roller coasters, making lip-gloss and much more with their family members. Kids will use tools to create various STEM-based items and can take home what they’ve built during the workshop. For more information, click here. This free family event – designed for children ages 3-13 – pairs children’s natural curiosity with rocket exploration. It will feature activities for children accompanied by an adult including lessons about rockets, blasting off rockets, and more. For more information, click here. This event is open to 100 middle school (6th to 8th grades) girls to experience the innovation of engineering and technology with fun hands-on activities. There will also be a parent program that runs concurrently to learn about ways to encourage daughters to consider interests in STEM fields from other parents, teachers, and STEM professionals. The cost to attend is $5 per student and $5 per parent. For more information, click here. Super STEM Expo is a Girl Scout friendly STEM-packed day showcasing science, technology, engineering, mathematics, robots, innovation, creativity and resourcefulness. At Super STEM Expo 2016, girls will discover, explore and tinker with various STEM activities. They will enjoy a day of interactive exhibits, crazy inventions, dynamic demonstrations and hands on activities and uncover a new Robotics Hall dedicated to robotics, drones, rockets, and more STEM activities. This event is open to girls from K-12th grades. For more information, click here. Black Girls CODE Atlanta Chapter Presents: Robot Expo! This fun and captivating educational experience is intended for girls ages 7-17. They will learn about robots and how they communicate in an engaging atmosphere. With a combination of hands-on activities using Lego WeDo/NXT kits and live demonstrations from area robotics organizations, girls will interact with sophisticated robots and learn real-world/business applications and uses for robotics. For more information, click here. It’s 2016, and MathSP is more STEM focused than ever! We are continuing on our mission to cultivate core problem solving skills and analytical abilities in our students through STEM-focused academic coaching. Below is a list of exciting STEM focused workshops and events happening in the Atlanta Metro that are geared towards elementary, middle, and high school students. With over 57 colleges and universities in the Atlanta region and a growing number of STEM Certifications in primary and secondary schools, countless workshops, events, and programs are available to help students cultivate fluency in Science, Technology, Engineering and Math subjects. These events are happening in your backyard and MathSP encourages you to take full advantage of them. We will continue to share these events with you throughout the year as they become available to ensure that all of our students are equipped with as many tools necessary to become STEM fluent. STEMtastic Saturdays hosted by Real I.M.P.A.C.T Center, Inc. Address: 3300 Macon Tech Drive, Macon, GA 31206 This workshop series is open to girls in 3rd – 8th grades. Girls can choose from two exciting sessions that they will attend during all the above dates for Robotics Club or STEAM Academy. 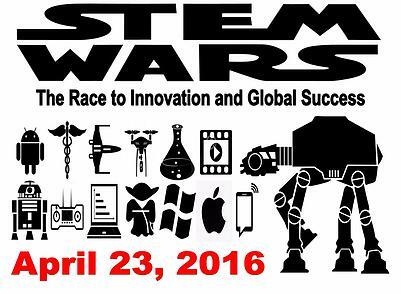 A one-time registration fee of $50 for all 5 sessions will include lunch and a STEMtastic Girl T-shirt. Only 45 spots are available so register as soon as possible to secure a spot. For more information, click here. Where: Exchange Park Recreation Center Address: 2771 Columbia Drive, Decatur, GA 30034 With a variety of FREE activities for boys and girls from age 5 and older, these sessions offer the opportunity for students to engage in hands-on STEM labs that will spark their interests in the world around them. Registration is required for all workshops. For more information and to register, visit the event page here. This event is open to girls in grade 6th-12th to compete for top prizes in their grade categories. The public is encouraged to attend by bringing boys and girls of all ages to the event. For more information on the guidelines for girls to compete, click here. Where: Centennial Olympic Park Address: 265 Park Ave W NW, Atlanta, GA 30313 Atlanta’s biggest interactive science event is open to adults, families, and children all ages and interests. This FREE event will promote science exploration, discovery and innovation with more than 100 interactive exhibits, hands-on experiments, mind-blowing demos and a full line-up of science-themed performances! For more information, click here. Where: Georgia Institute of Technology Address: 350 Ferst Drive – Student Center Ballroom, Atlanta, GA 30332 This career and exhibition will provide K-12 students with an opportunity to explore careers and meet & interact with professionals working within STEM fields. In an environment similar to a job fair, attendees will have an opportunity to visit the tables of STEM organizations to engage in hands on STEM activities. This is event is free to attend. For more information and to register, click here. Where: Atlanta Metropolitan State College Address: 1630 Metropolitan Parkway, Atlanta, GA 30310 This one-day event – informative, educational and fun-filled day – is designed to provide all participants with the fuel that will aid in inspiring them to reach their full potential. With a number of activities and events to entice and accommodate students at all levels, S.T.E.M. Wars will feature interactive presentations, hands-on workshops, robotics, a STEM College and Career Fair, and various sessions that will give participants practical applications for these honed skills. There will be dynamic speakers, informative breakout sessions, incredible entertainment, and much more. A registration fee of $35 per person (students and adults) includes 2 meals, a conference gift, a program booklet and participation in all S.T.E.M. Academy activities. For more information, click here. It’s an exciting time to be a student in the Atlanta Metro area, especially when it comes to being STEM focused! With over 57 colleges and universities in the Atlanta region and a growing number of STEM certifications in our schools, there are a host of workshops, events, and programs that are available to middle and high school students to help cultivate fluency in Science, Technology, Engineering & Math subjects. Because of MathSP’s commitment to cultivating core problem solving skills and analytical abilities in our students through STEM-focused academic coaching, we’ve compiled a list of upcoming STEM-focused workshops and events happening in the Atlanta Metro region that are geared towards middle and high school students. These events are happening in your backyard, and we encourage you to take advantage of these opportunities to better understand the ubiquity of STEM. We will be sure to share these events with you as they become available to ensure that all of our students are equipped with as many tools necessary to become STEM fluent. Super STEM Expo 2015 will create a sense of enthusiasm about the need for continuous and rigorous STEM education for girls, develop awareness of STEM careers and introduce girls to inspiring role models in scientific fields, and engage the community and the media in the STEM education conversation. This event is open to girls and boys from K-12th grades. For more information, visit the event page here. This event is open to 100 middle school girls (6th to 8th grades) to experience the innovation of engineering and technology with fun hands-on activities. There will also be a parent program that runs concurrently to learn about ways to encourage daughters to consider interests in STEM fields from other parents, teachers and STEM professionals. For more information, please visit the event page here. This exciting workshop intended for girls’ ages 7-17 will teach girls about robots and how they communicate in an engaging atmosphere. The event features hands-on activities using Lego WeDo/NXT kits with live demonstrations from area robotics organizations where the girls will interact with sophisticated robots and learn real-world/business applications & uses for robotics. For more information, visit the event page here. STEMtastic Saturday hosted by Real I.M.P.A.C.T Center, Inc. This workshop is for girls’ in 3rd – 8th grades. Girls will utilize critical thinking and problem solving skills to build a web page, learn to code, program robots, and much more. On November 14th, prepare for the Thanksgiving season with a STEM twist! Sponsored by the Griffith Family Charitable Foundation, the cost for the workshop is three (3) canned goods. For more information, visit the event page here. Stephanie Espy is empowering the next generation of STEM Leaders. A master in the art of learning and coaching, Stephanie possess degrees in chemical engineering from the Massachusetts Institute of Technology and the University of California, Berkeley and is a graduate of Emory’s Gouizeta Business School. Stephanie is a STEM savant who’s on a mission to optimize a trove of strategies that are guaranteed to open each student’s eyes to the ubiquity and wonder of STEM.